In 2007 OBD testing became mandatory for all automobiles and light-duty trucks whose model year is 20 years old and newer. The program is running smoothly as stations and motorists have over the years become accustomed to the OBD testing procedure. We appreciate all of the efforts made by inspection stations and mechanics as well as the input we have received to improve many aspects of the program. Click HERE to view the slide show that was presented at the 2017 Listening Sessions. Click HERE to view the FAQs that are associated with the Stickers On Demand program. Nearly 10,000 New Hampshire mechanics have completed training and passed the computer based certification. Over 18 million inspections on the database. More than 16 million OBD inspections performed. 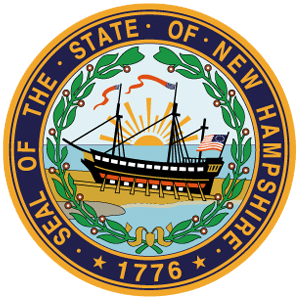 The New Hampshire Department of Safety - Division of Motor Vehicles (NH DMV) and NHOST Services, Inc. Gordon-Darby (NHOST) are working closely together to ensure that the program continues to operate smoothly. The process to return used sticker books is provided on the Returning Sticker Books to DMV page. Click here for details on this process, including the steps you need to follow to do this using the NHOST machine: How to return sticker books to DMV. Click the Mail button on your NHOST Unit to send a message to Technical Support. US EPA Website - A great resource for OBD information.